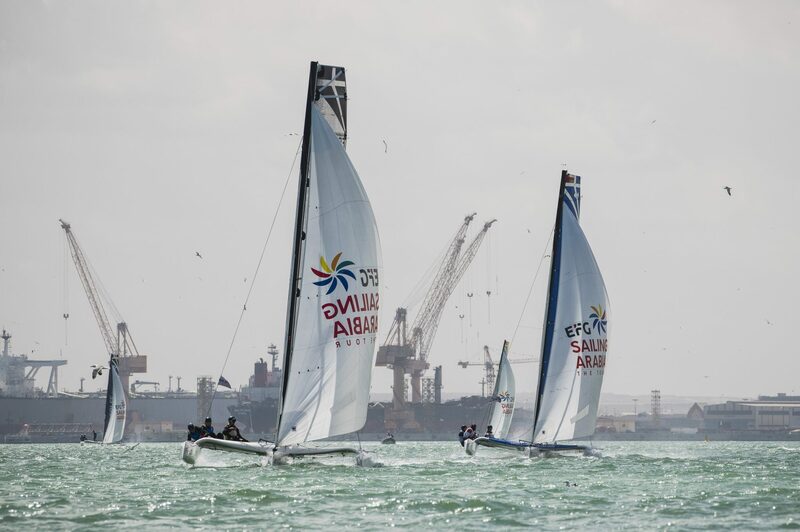 Muscat, February 13th 2019: The EFG Sailing Arabia – The Tour teams took to the open seas off Oman’s rapidly developing port city of Duqm on Tuesday for a 23-mile test of offshore strategy and boat handling in windy conditions. After almost two and a half of hours high-speed action, which took the 10-strong international fleet out to sea and around the distinctive and solitary Duqm Rock, the Raid was won by the French crew on Seaflotech. 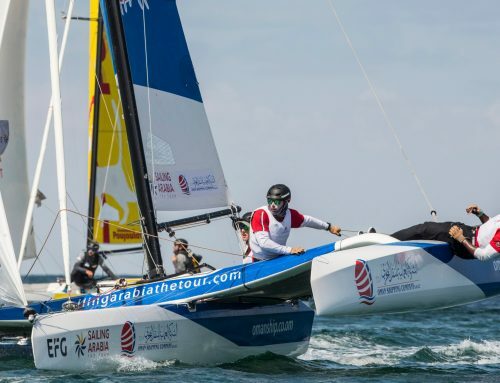 The result – alongside a second and third place in the two Stadium races inside Duqm’s large and impressive harbour that followed the Raid– catapulted the rapidly improving Seaflotech team to second place on the Tour leaderboard. Skipper Sofian Bouvet said: “We are happy as we have moved closer to the leader, Beijaflore, and we have reached a point in the regatta where we feel we have got better and we now know we can win races. 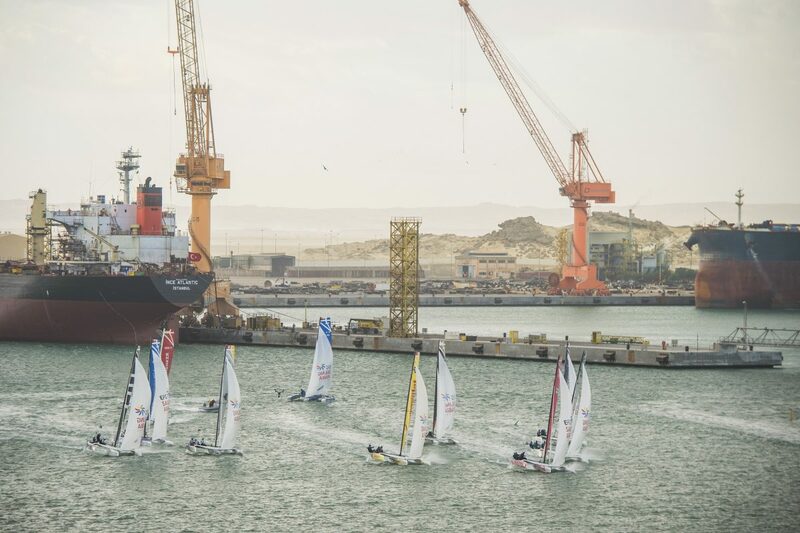 We will take it day by day, and we will see where we are on the last day, but not now.” Racing with 2018 Tour Voile winners Corentin Horeau and Bruno Mourniac, Bouvet had to miss two races in Muscat due to gear failure at the start of the Tour, a setback from which they have made a strong recovery. “We lost a lot of points in Muscat, but we have been able to come back from that – it has been good news,” he said. 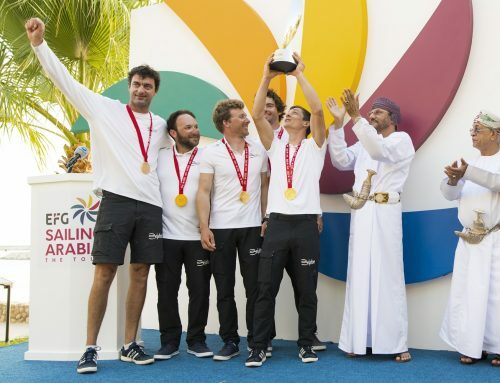 The consistent Beijaflore team remain on top of the Sailing Arabia table after coming second in both the Raid and Duqm Stadium races ranking. 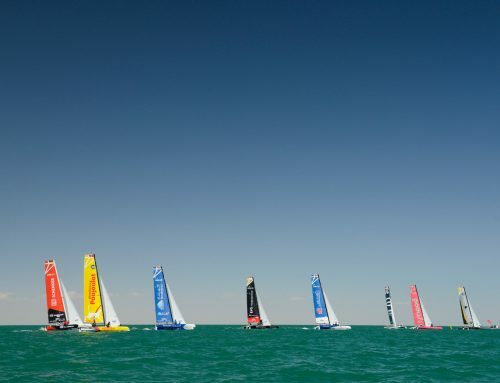 Seaflotech are now second overall and Cheminées Poujoulat third, helped by a win in the first Stadium race. 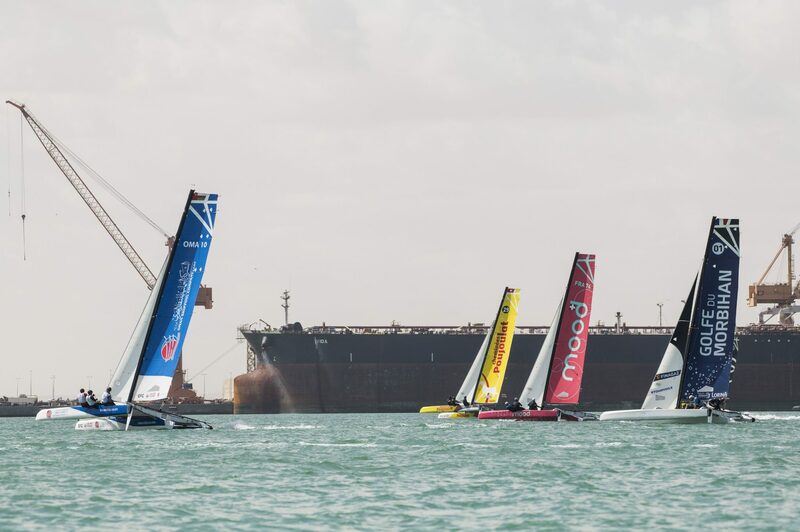 Oman Shipping Company and Mood are locked together both with 26.5 points in fourth and fifth place respectively. Tuesday was also a memorable day for Franck Cammas’ EFG Bank team which posted its first race victory of the Tour in the second Stadium race of the day. “Finally we won something,” said a smiling Cammas. “We have got better but it is always a big fight with the rest of the guys, and we have to do more to improve. There are some of the best crews in the world on these boats, and we know what we must do if we are to finish where we want to. “On Wednesday we are set to have six more Stadium races with a little less wind, which is easier for us, and maybe we can win another race – or all six, that’s the goal,” he laughed. 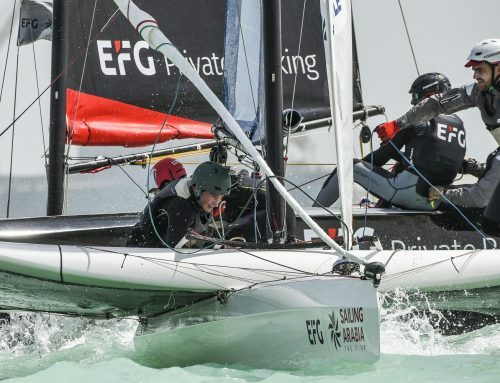 Despite the win EFG Bank remain seventh overall, in a mid-fleet tussle with CER Geneva ahead of Renaissance and the all-women DB Schenker team. 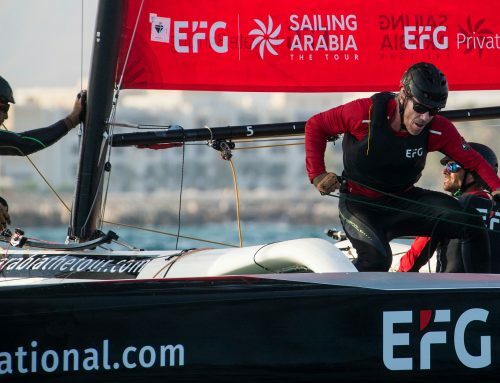 After a flurry of Stadium racing in Duqm on Wednesday, The EFG Sailing Arabia – The Tour fleet moves to Salalah on Thursday for the two-day finale to the two-week adventure down Oman’s striking coastline.